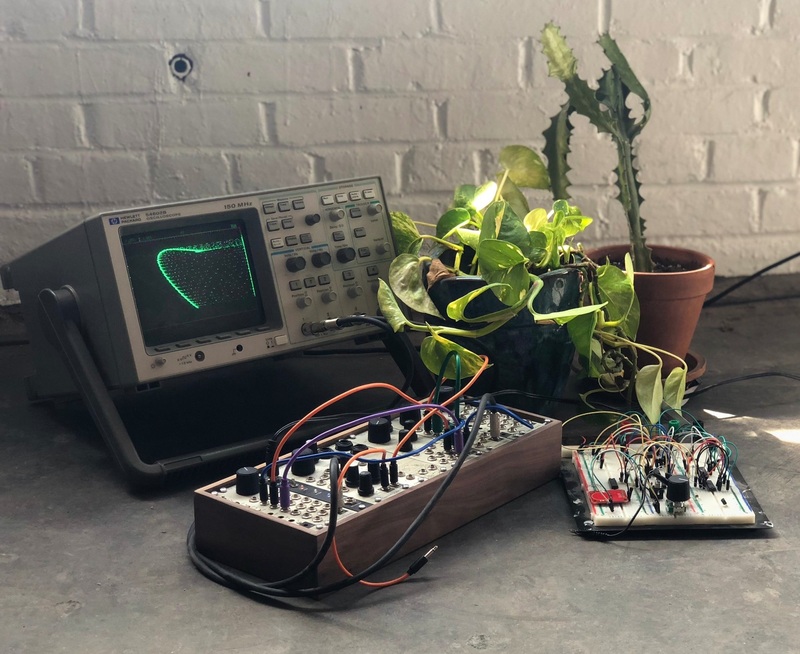 Former music resident and Discwoman artist, stud1nt, and new media artist, Sam Wolk, will guide participants through the fundamental concepts of analog and digital modular synthesizers. By the end of the course, participants will be able to build and analyze relationships in a patch from scratch, create a short composition, and integrate modular systems into their creative practices. Materials: Participants are required to bring their own laptop. stud1nt is a multi-instrumental artist and educator from Queens approaching sound at the junction of and against genres. They have taught classes and workshops on creative production and synthesis at Moogfest, Ableton Loop, Pioneer Works, Vassar College, the New School, and Recess Art. Currently, stud1nt holds a monthly residency at Nowadays and an art residency at the Post-Contemporary in Troy, while directing production for the instrument company Mannequins. Also, a member of the media collective #kunq, their work attends to the politics of queerness in relation to sonic space, often manifesting in the form of audio engineering for contemporaries. Their work has been featured in the New Yorker, Resident Advisor, Pitchfork, and the Fader. Sam Wolk is a new media artist living in New York. His work explores crossovers between analog and digital media in the realm of generative systems, engaging a variety of forms, including 16mm film, bookmaking, audiovisual and interactive installation, performance, archival research, and experimental animation. His work has been presented at the Österreichisches Filmmuseum (Vienna, AT), Beton7 (Athens, GR), the Carpenter Center for the Visual Arts (MA), dA Center for the Arts Pomona (CA), John Knowles Paine Concert Hall (MA), the Loeb Experimental Theatre (MA), and elsewhere. He graduated from the Visual and Environmental Studies Program (VES) at Harvard College, where he also worked at the Harvard University Studio for Electro-acoustic Composition (HUSEAC). He has worked as a studio/research assistant and software developer for several artists, including Cheyney Thompson, Eli Keszler, Jacqueline Kiyomi Gordon, Eric Frye, Lucien Castaing-Taylor, Véréna Paravel, and Luke Fowler. He previously worked as live electronics engineer for composer Dániel Péter Biró. He does freelance Max/MSP, Processing, Arduino and Web development for sound and installation works. Signal Flux aims to expand access to and literacy about sound / video art and technology through inclusive, student-centered collaborative workshops, individualized one-on-one tutorials and curricula, and engaging public event programming. We hope to catalyze passion for the sonic and visual, whether they be newfound interests or enduring practices.